You are here for one reason, and one reason alone: you want to know if your ceiling fan direction really matters. Well, you have come to the right place! 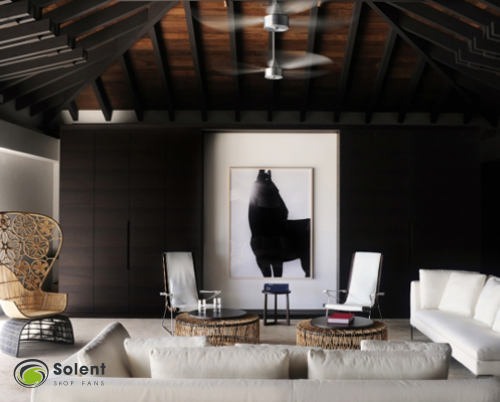 The direction your ceiling fan spins is incredibly important to the efficiency and effectiveness of your cooling solution, and we will tell you why in the blog below. With that said, we are quite sure you can figure out the next part. A ceiling fan set to spin clockwise is going to pull cool air up to the ceiling, and similarly push the warm air that has collected there back down into the room. This reverse effect is ideal for cooler months, where you want to feel a few degrees warmer even without a hot water bottle and cup of hot chocolate. To switch your ceiling fans to a clockwise rotation, you can give us a shout and we will be happy to help you out. All in all, your cooling solutions can be made to work for you, whatever the weather. We aim to support you and a lifestyle of comfort by providing affordable, reliable and long-lasting cooling solutions that you can count on. Contact us to chat about how we can help you keep cool this Summer and we will be sure to blow your hair back!